Log cabins in the forest, indoor fireplaces and views of the Stanford Lake all make for one of the most idyllic romantic getaways for couples. 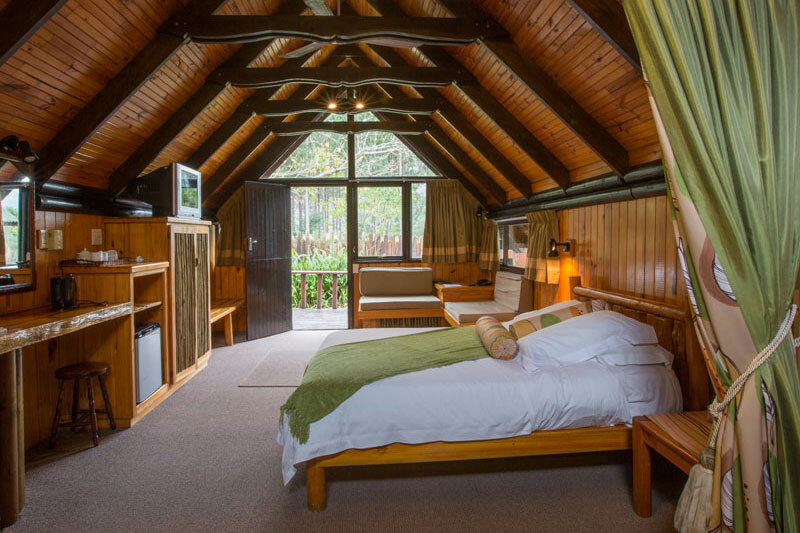 Although rustic, the self-catering cabins have all of the necessary modern amenities and a distinctly modern look and feel. Nestled in the heart of the mountains and valleys of Limpopo, guests have plenty of variety when it comes to activities (if they can tear themselves from the cosiness of their cabin, that is). Activities and attractions include canoeing, hiking, walking, fishing, mountain biking and bird watching. The lodge also offers a number of relaxation therapies; the perfect way to spend a day with your loved one. 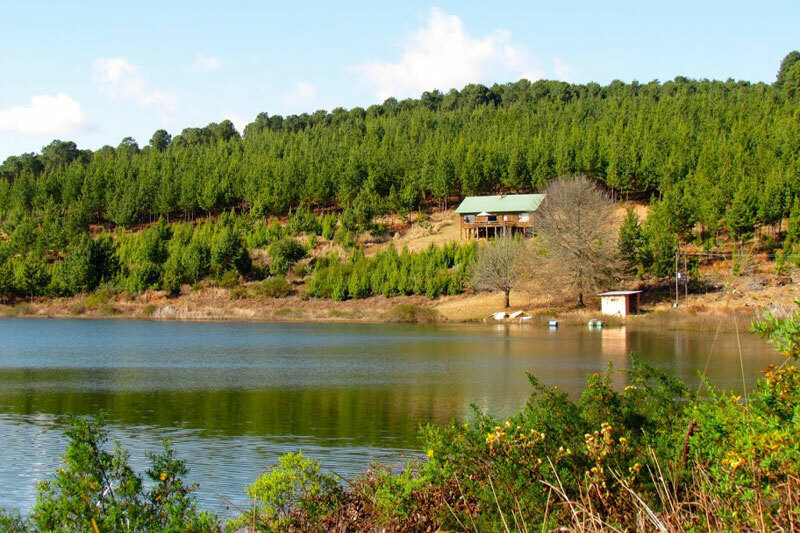 Hogsback is known for its unrivalled beauty within the surrounding mountain ranges. This tiny village is abuzz with culture, history and quirky characters. 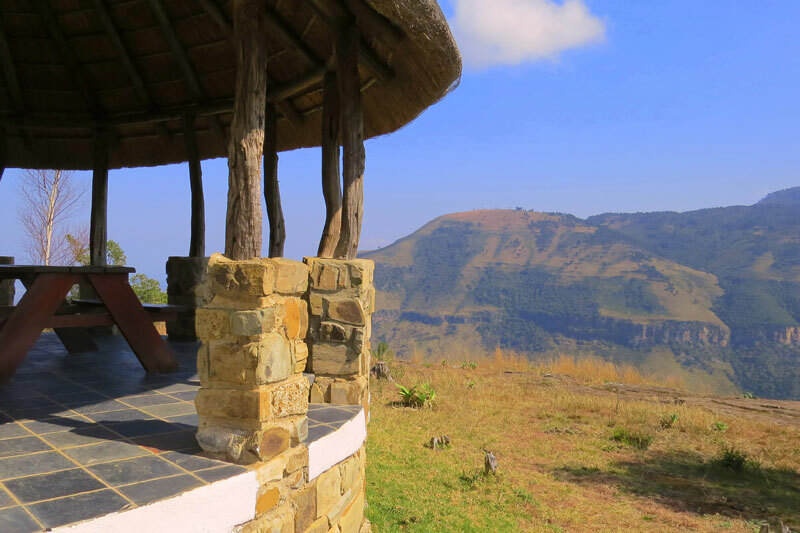 The Edge Mountain Retreat has a number of different self-catering and catered accommodation options, with Heavens Above being the most ideal for couples looking for a romantic rendezvous venue. This cottage is set on the cliff edge alongside magnificent forests and boasts stunning views and a log fireplace. What could be more romantic than log cabins in the middle of the Tsitsikamma Forest with views of the surrounding mountains? Each cabin has its own spa bath as well as a private deck and barbecue area. The warm Indian Ocean is just a stone’s throw away, as are a number of walks and hikes for couples that want to be a little more active. Those wanting even more adventure can embark on treetop canopy tours, abseiling, zipline tours, and more. 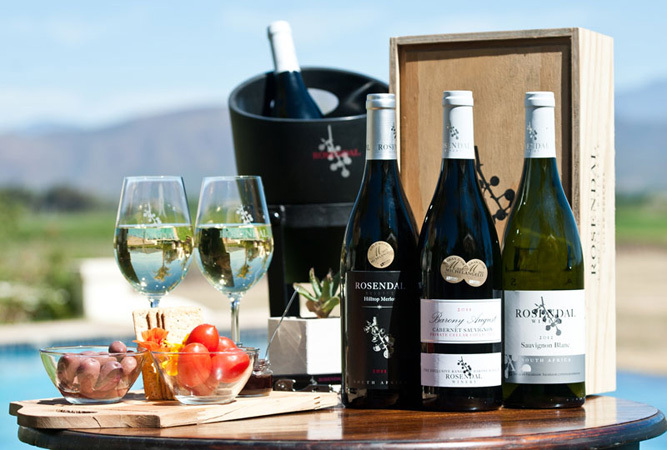 The wine country of the Western Cape is absolutely beautiful, immersing holiday-makers into the breath-taking splendour that produces some of the world’s best wines. 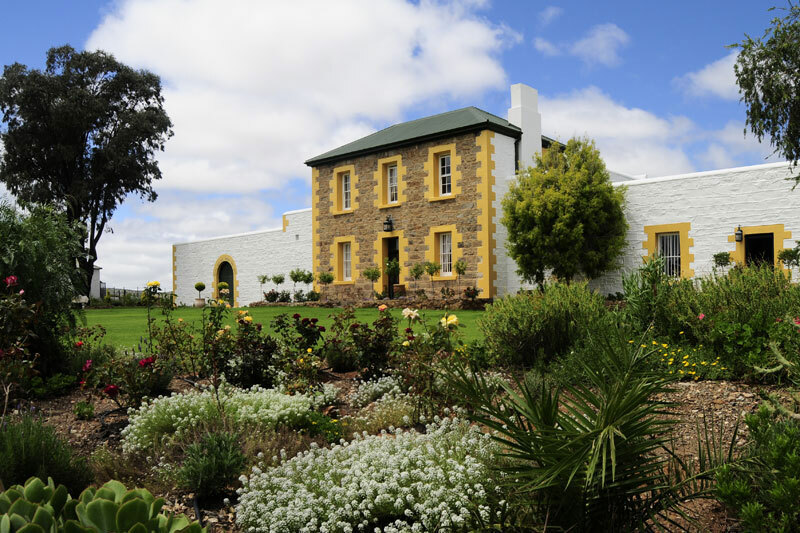 Rosendal is a wine estate, complete with a 4-star guesthouse, country restaurant and professional spa. The colonial-style rooms all boast lovely views of the vineyards, manicured gardens or dam. 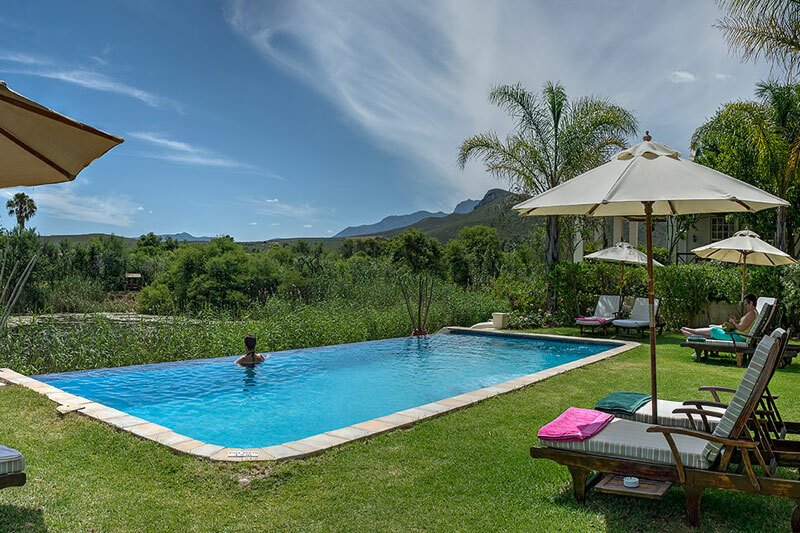 Activities and amenities include the working winery, cigar and wine bar, aqua and relaxation facilities, wine-based treatments, wine tastings, game drives at the Klaas Voogds Game Park and tours of the Soekerhof Botanical Gardens.